Elevated levels of cancer-causing radioactive isotopes have been discovered in the groundwater of the Fukushima nuclear plant in Japan, the plant’s operator has revealed. Highly toxic strontium-90 was present at 30 times the allowable rate, tests showed. 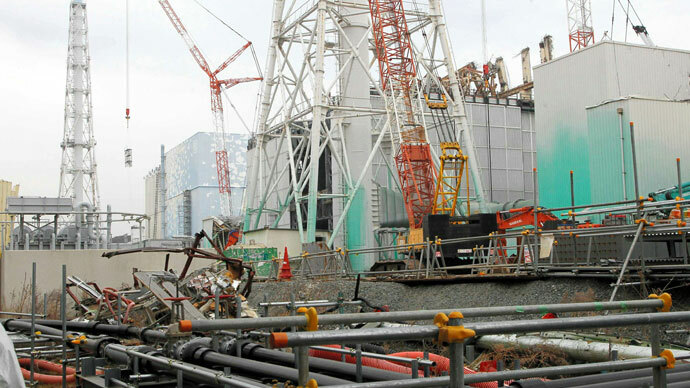 Tokyo Electric Power Co (TEPCO), the owner of the wrecked plant, said that tests showed levels of strontium in groundwater had increased by 100 times since the end of last year, TEPCO official Toshihiko Fukuda told reporters. Strontium-90 is a byproduct of nuclear fission, and if ingested can cause bone cancer. 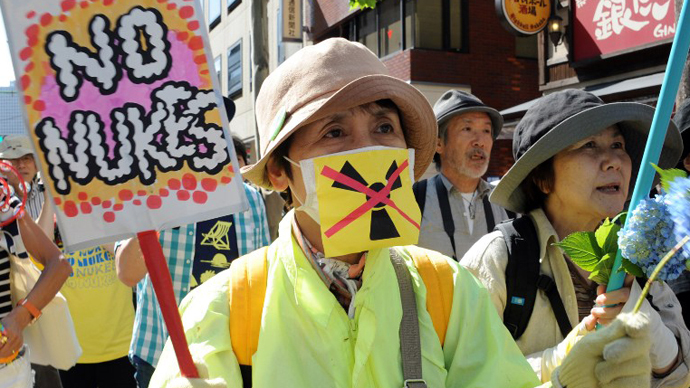 Tests also detected tritium at around eight times the permitted level, TEPCO added. The substance is usually used in glow-in-the-dark watches. "From groundwater samples we collected, we detected 500,000 becquerels per liter of tritium, that is very high," Fukuda told a press conference. The Fukushima Daiichi Nuclear Power plant suffered a reactor meltdown and released radiation following the 9.0-magnitude Tokohu earthquake – the most powerful earthquake ever to hit Japan – which struck off the coast of the country on March 11, 2011. The earthquake unleashed a tsunami with waves of up to 14 meters high (Fukushima was designed to withstand up to 5.7-meter waves) that knocked out the emergency generators required to cool the reactors. The substances released in the aftermath of the meltdown were not absorbed by the soil, and have trickled underground. 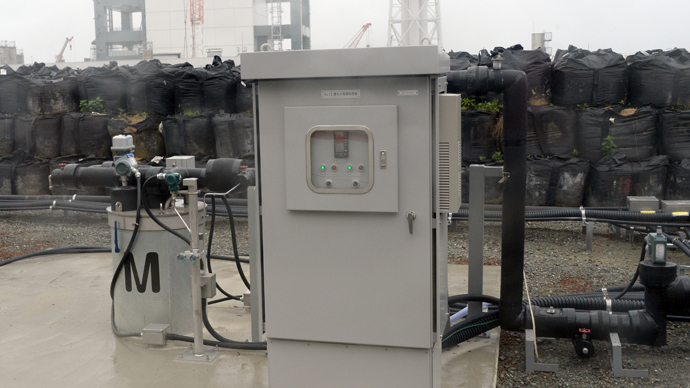 The contaminated groundwater is thought to be contained by the plant’s concrete foundations and steel sheets, with gaps plugged by a material known as ‘liquid glass’ that solidifies to prevent the flow of contaminated groundwater, the TEPCO official added. 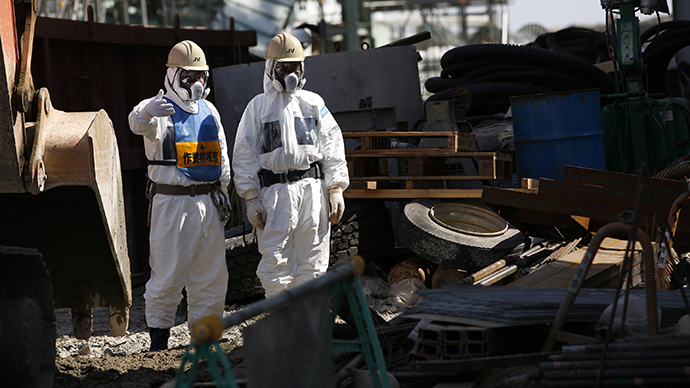 The Fukushima plant has been plagued by a series of problems this year. A discharge of contaminated water was discovered in the beginning of June and radioactive caesium was detected in groundwater flowing into the plant, contradicting an early finding that contamination levels around the facility were negligible. About 400 tons of groundwater flows daily into the reactor buildings, where it is mixed with the highly contaminated water used as coolant for the melted fuel. 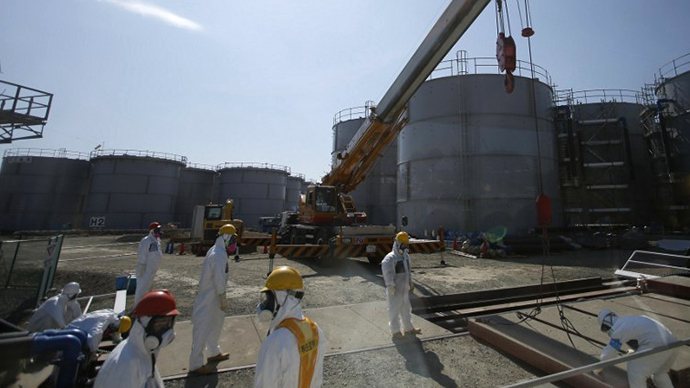 Earlier in April, leaks were discovered in the plant’s underground storage tanks, prompting TEPCO to speed up the construction of stronger above-ground containers. The company has been forced to store this radioactive water onsite, and the fact that groundwater is being contaminated before it enters the damaged reactor units complicates TEPCO’s efforts to convince local authorities that the groundwater is safe enough to be dumped into the ocean. As the isotopes get mixed up with groundwater they can end up in the ocean, putting marine life in danger and affecting humans who eat the seafood, AFP reported. The most recent data has showed that there was no atypical rise in the levels of the two substances in nearby seawater, Fukuda said. The power company is seeking approval for its plan to dump 100 tons of groundwater a day from the plant into the sea, which requires the consent of local fishermen, who are strongly against the idea. 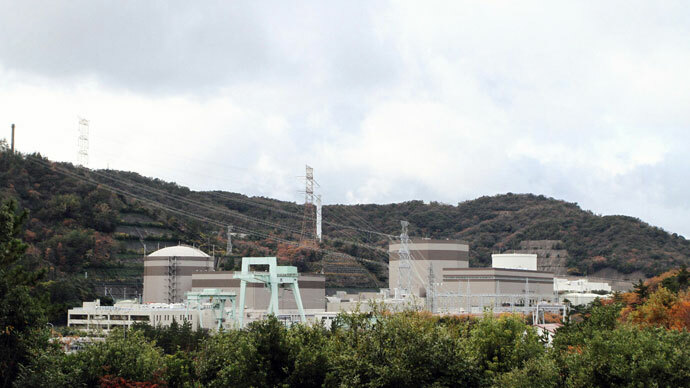 The news comes as a major political challenge to Prime Minister Shinzo Abe, whose government is set on its plans to restore Japan's nuclear energy industry to full capacity.